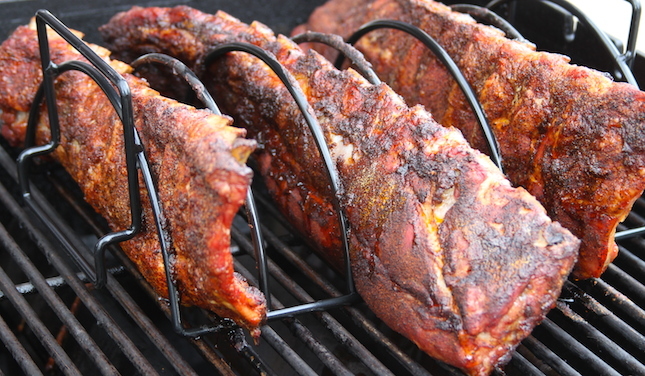 Serving up ribs at a backyard barbecue during the summer is one of the true joys of being a pitmaster. Everyone loves ribs (even if they don’t they sure do eat a lot of them when the platter is sitting out), and when they’re cooked right they will bring the masses to their knees. One of the problems we run into from time to time is a customer that has a nice gas grill but no smoker and doesn’t have the budget or want to spend the money to buy a standalone pit. If that’s you, don’t worry, we’ll have you smoking up amazing ribs in no time flat. Do not soak the chips, the idea here is to keep the chips from catching fire, not to soak them until they smolder. We want to produce thin blue smoke, so they will need to burn up fairly quickly. 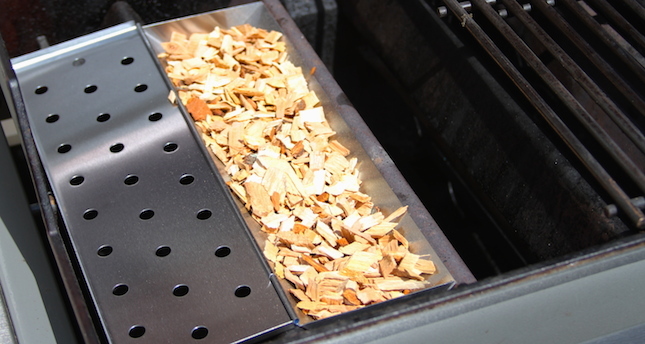 Simply refill the wood chips as needed during the cook. What’s most important is getting smoke into the ribs for the first two hours of the cook. 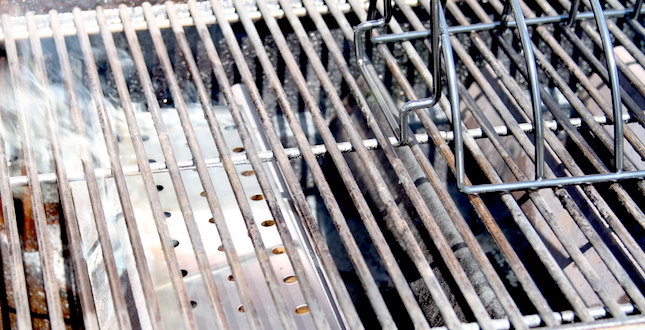 Your grill will now be nice and hot. 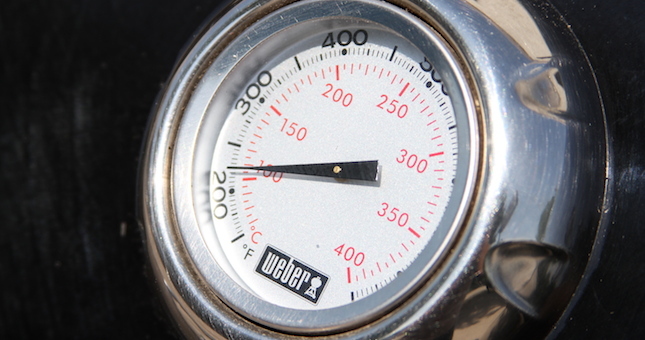 Take a little time and adjust the burner so that your grill is holding steady between 225ºF and 250ºF. 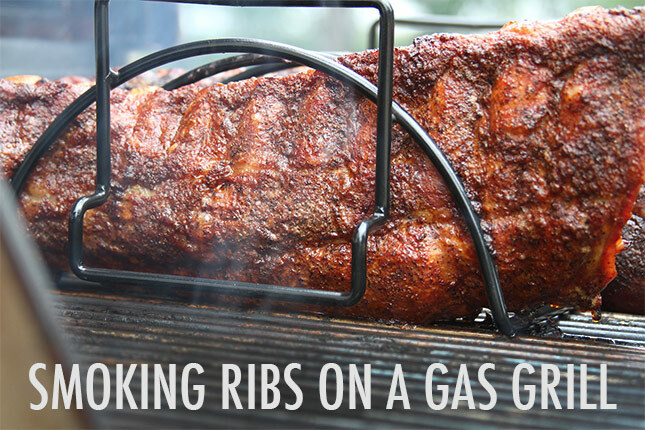 Once you get the heat where you want it, place your ribs on your rib rack and close the grill lid. This is where it’s good to have something else to do because your grill won’t need much help maintaining heat or producing smoke. After an hour come back and check on the wood chips. If they need to be refilled, do so. Don’t forget to pour some water over the top, we don’t want them to catch fire and burn up too fast. Step Three: After a couple hours, check on the ribs and make sure your smoker box still has wood chips. If you want more smoke flavor, you can refill the box now, but if you like a more mild smoke there is no need to worry about it. At this point in the cook, the rib meat should start to pull away from the bone. Test for tenderness by trying to move one of the bones toward the center of a rack. It will still be tough to move at this point, but after a couple more hours it will start to swivel in place and the rack of ribs will no longer feel springy. Step Four: Slice the ribs with a nice sharp knife. Having a Victorinox 12″ Granton Edge Slicer will make this especially easy as the knife will move through the ribs like butter and the granton edge will release the meat without tearing your bark apart on each cut. 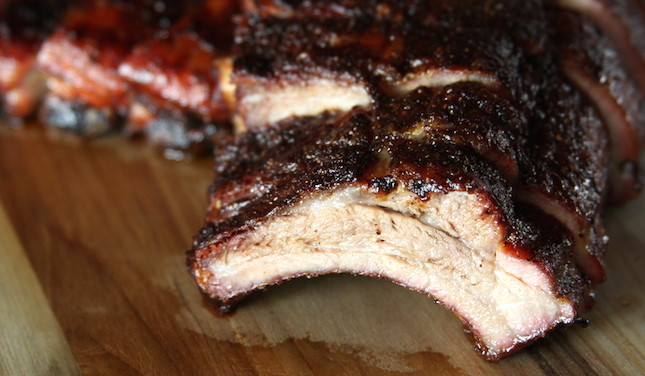 Serve these ribs with your favorite barbecue sauce like Firebug Grill’n Sauce Hot. Enjoy! 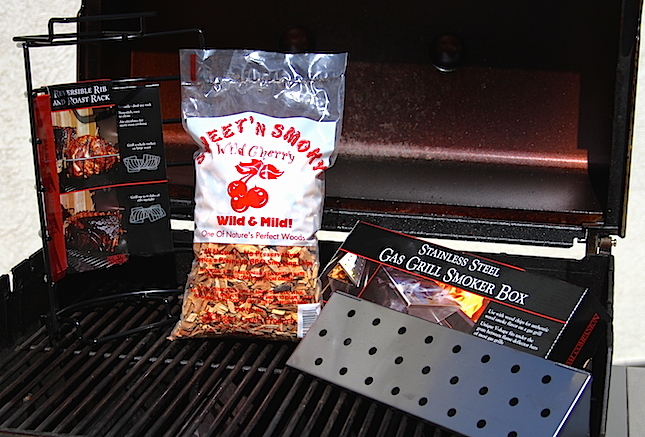 If you have any questions about this technique, or how to smoke other foods on your gas grill, please comment below.